Please see full description below…! 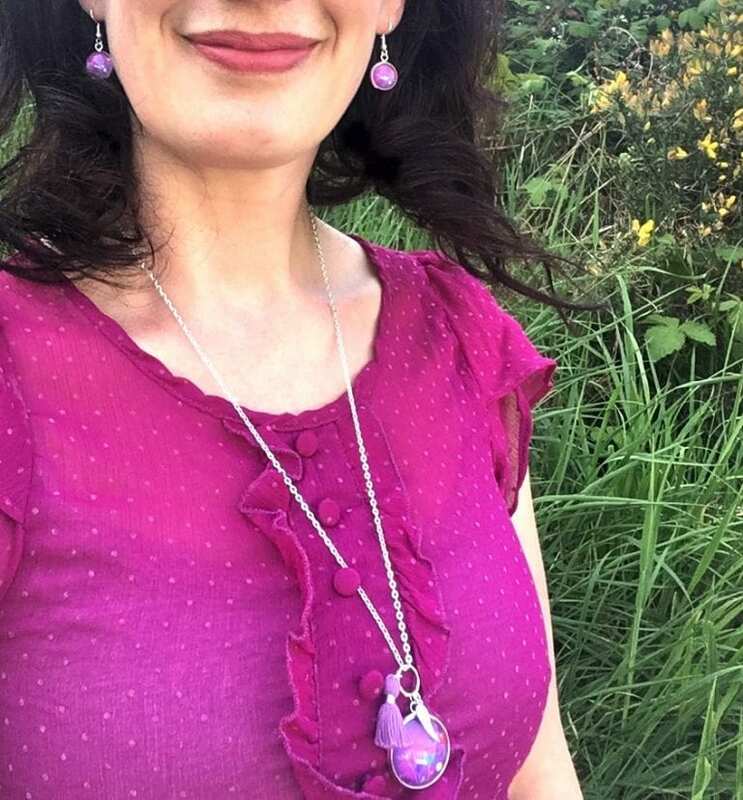 This purple tassel necklace is part of my new Floral Tassel Collection… Available in 6 different colours, they are such a perfect and colourful addition to your summer wardrobe, they would brighten up any outfit! 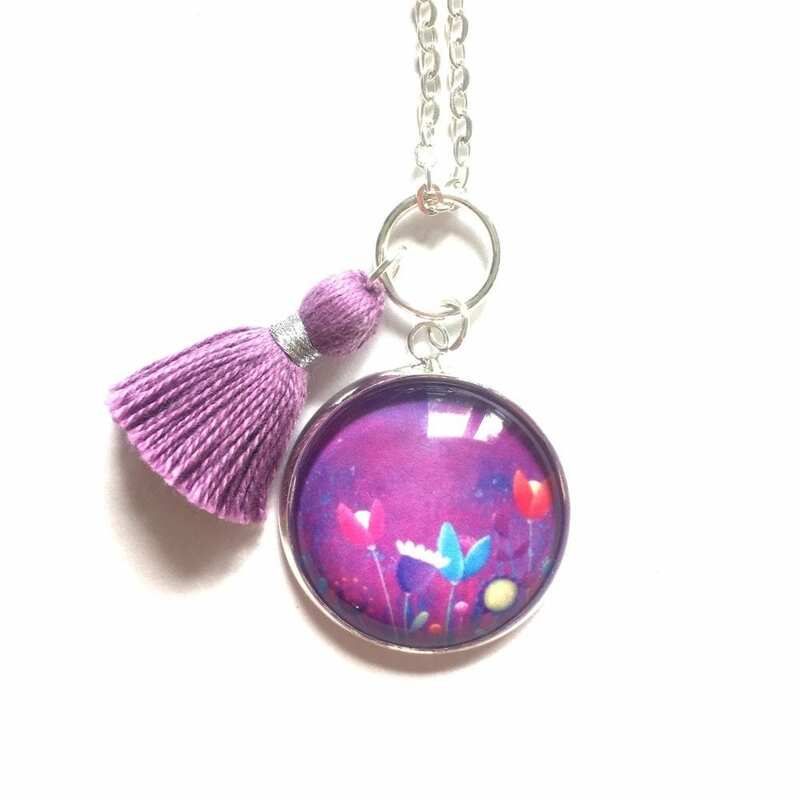 This one has amazing shades of strong purple and has been twinned with a pretty lilac tassel. 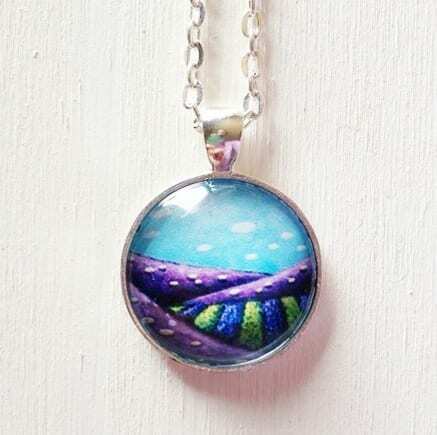 The 1” glass floral cabochon is in a slightly different setting than my other medium necklaces, and the setting is mounted on a closed jump ring, and so is the tassel. 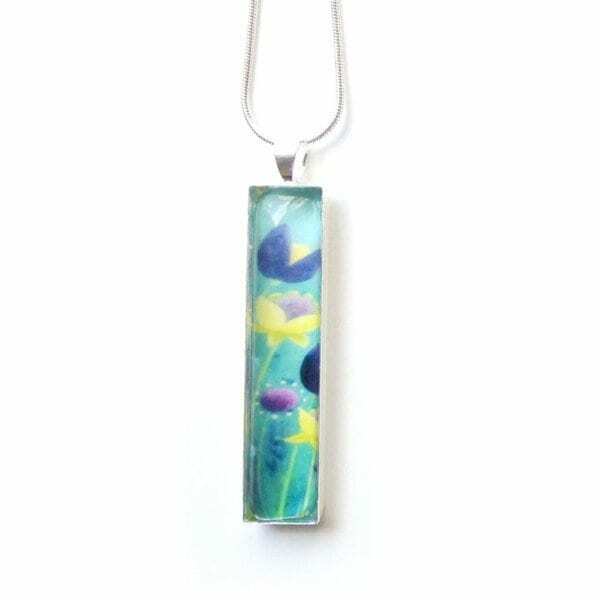 The whole piece is mounted on a 24″ long silver plated link chain. 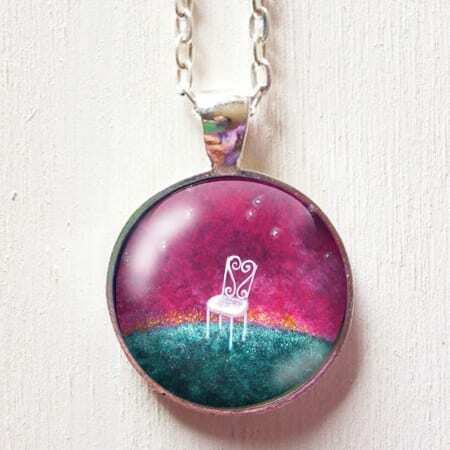 As you will see in some of the pictures, you also have the option of adding a charm… or two! 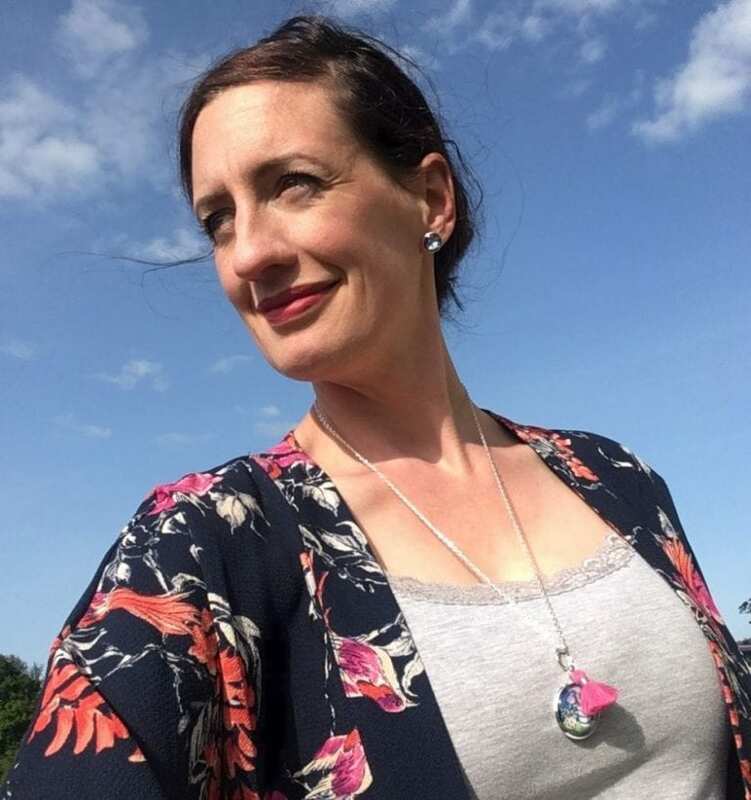 This is such a great way to personalise your new treasure, and if it’s a present you are buying for someone, a loved one initial, birthstone or other meaningful charm from my selection would make your present a memorable one for sure! 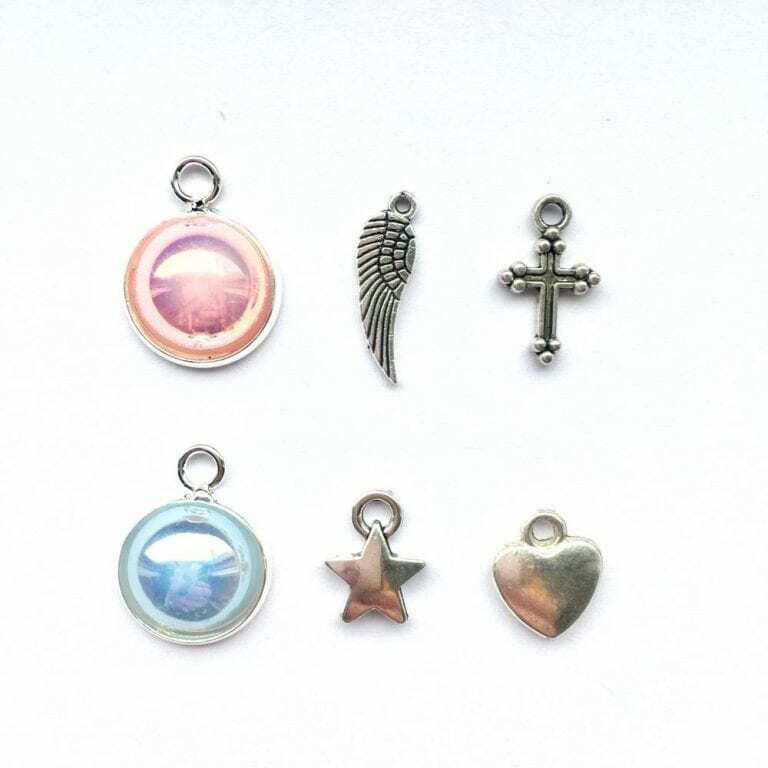 Just select your charm from the little drop down menu, where you will see the price for each of them. 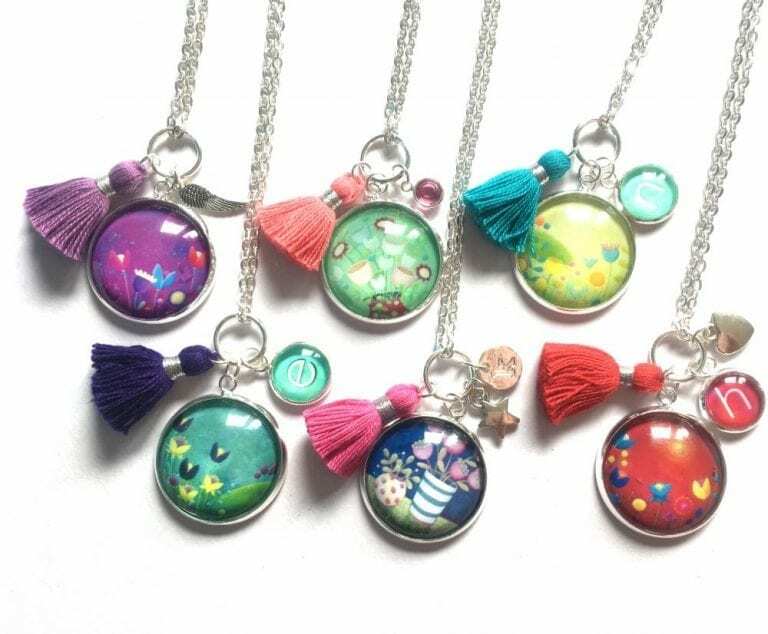 If you would like additional charms, please have a look at the “personalise it” section of my website. 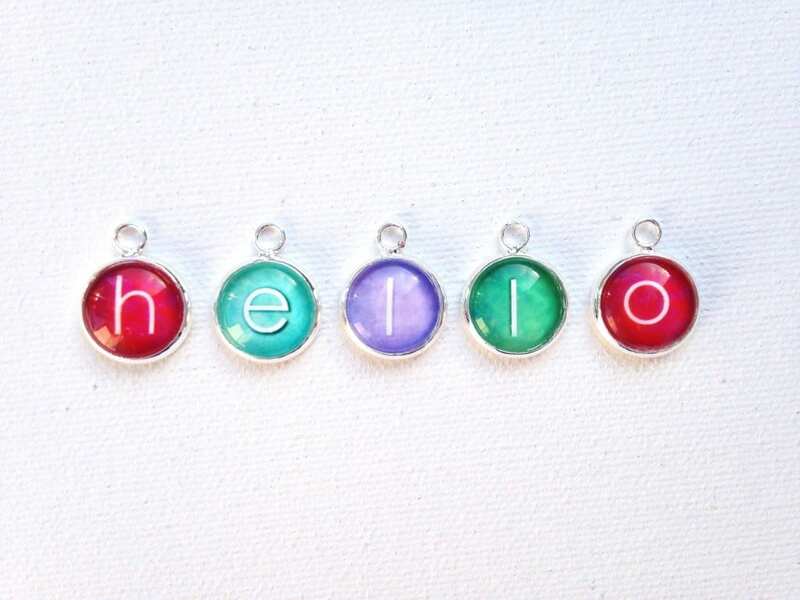 If you are ordering an initial charm or a Swarovski birthstone, please leave me a note to tell me which one you would like! 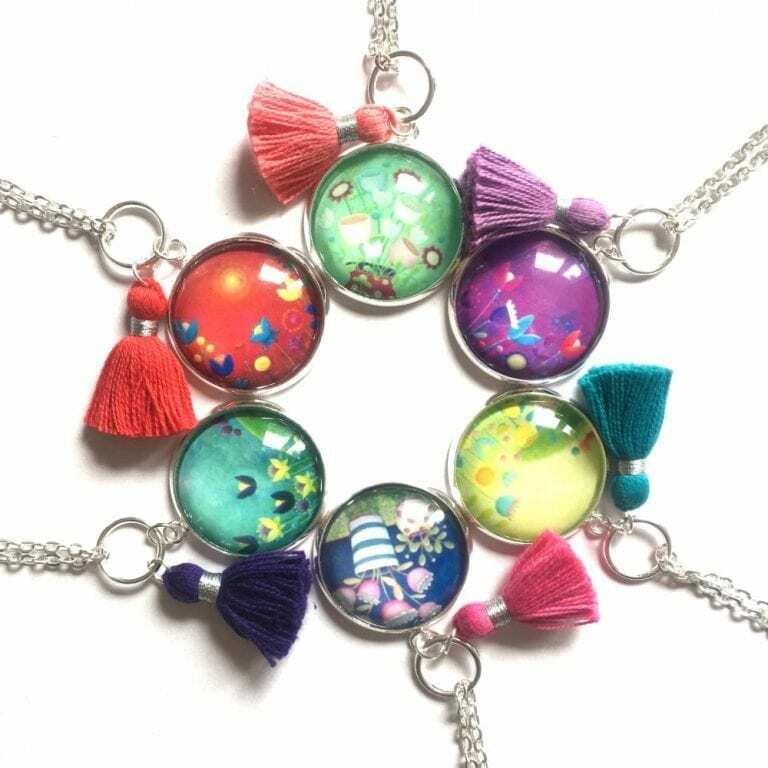 And for the coloured initial charm, please also let me know which colour you would like between the 4 following choices: hot pink – light blue – purple – turquoise. 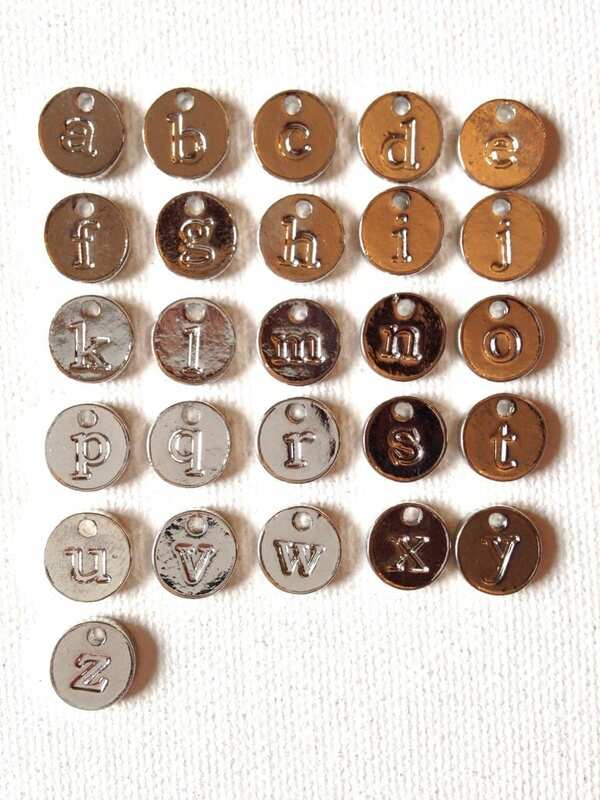 You can have a better look at them on the coloured initial page. You just want the tassel? That’s no problem, just select the “no charm thank you” option in the drop down menu. 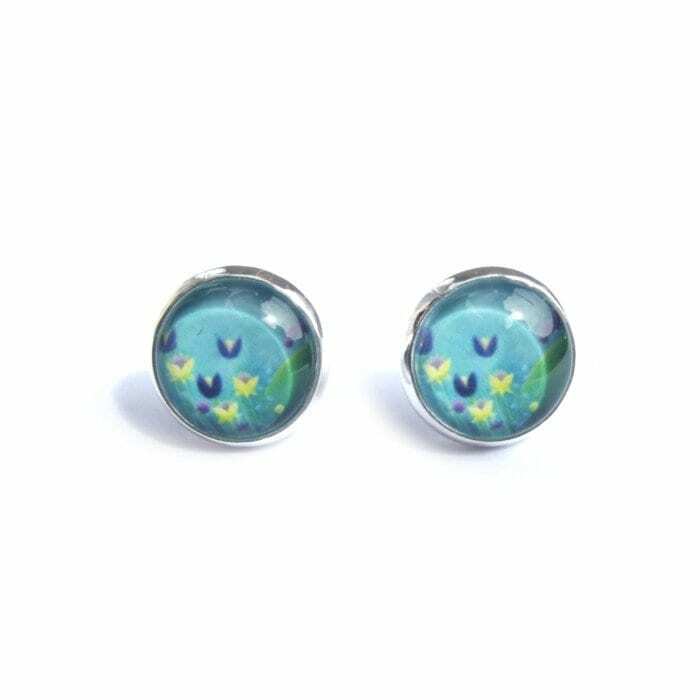 You can get a pair of matching post earrings and I also have a pair of drop earrings available.